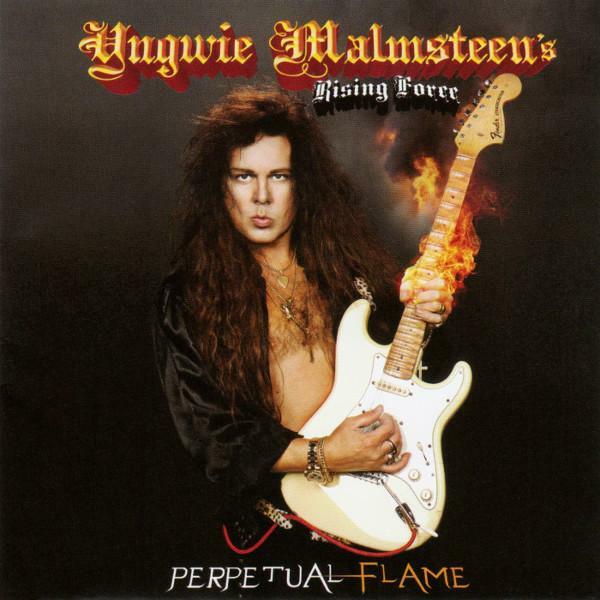 The global rock guitar community will undoubtedly mark November 10, 2008 on their calendars, as this is the exact date that Yngwie Malmsteen will be issuing his latest studio triumph, ‘Perpetual Flame.’ The album will the first-ever Yngwie album to be released via Rising Force Records, while the album also marks the debut on an Yngwie album by ex-Judas Priest/Iced Earth frontman, Tim ‘Ripper’ Owens. Twelve tracks of pure six string metallic bliss (which stretches to almost 70 minutes total), the album was produced and engineered by Yngwie himself, and mixed by Roy Z (who has previously worked with Judas Priest and Bruce Dickinson, among others). Joining Yngwie and Ripper on the album is keyboardist Derek Sherinian and drummer Patrick Johansson (Yngwie contributed bass, additional keyboards, and vocals, as well), but on tour, Michael Troy will supply keyboards, and Bjorn Englen will be laying down the bass.